We accept Medicare and all major insurances. Please inquire for details. Legend Oaks Healthcare and Rehabilitation of Ennis is a modern, state-of-the-art care center, conveniently located at 1400 Medical Center Drive, next to the Ennis Regional Medical Center. Our small town setting south of the metroplex, serves the Ellis, Navarro, South Dallas, and surrounding areas. 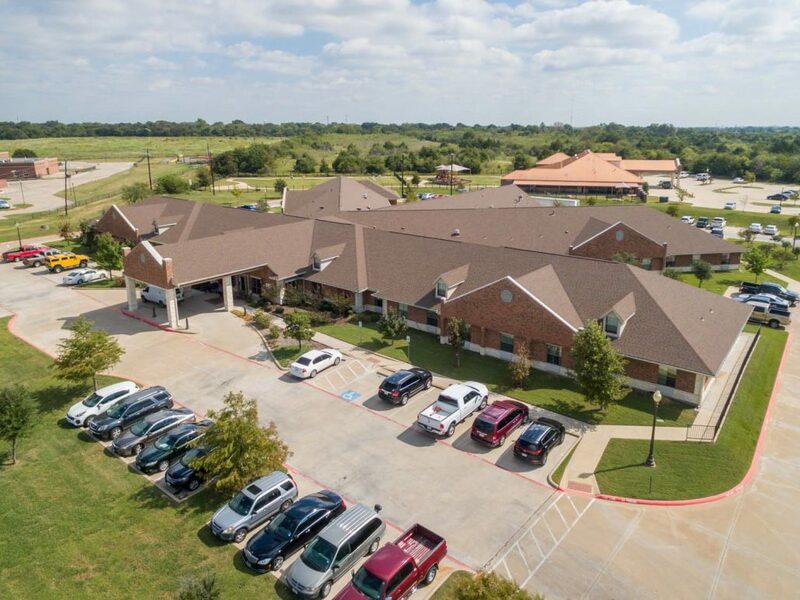 We are only a short driving distance to Baylor Scott & White Hospital in Waxahachie and Dallas. We feature 124 beds and beautiful spacious rooms in either private or semi-private settings. Guests will enjoy well-appointed accommodations, a diverse activities program, nutritious satisfying menus, housekeeping and laundry services, and beautifully landscaped grounds. Copyright © 2019 Legend Oaks Healthcare and Rehabilitation of Ennis. All Rights Reserved.